If you are provisioning the vessel yourselves, please remember that while basic domestic staples are on board, there are items you will need to supply. Please refer to page 5 of your Operations Manual. 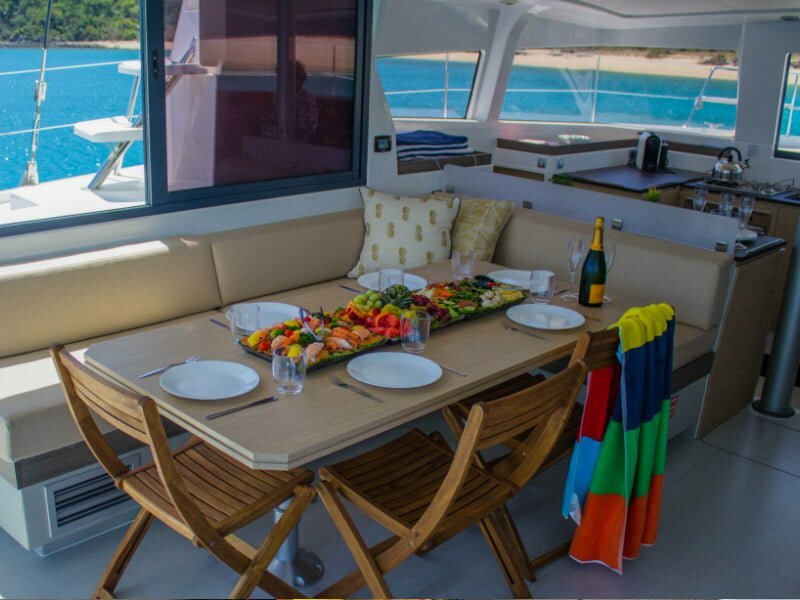 The team at Whitsunday Provisioning have been stocking boats for holiday makers for 30 years and have vast experience with quantities and items suitable for all your galley needs. You will find a boat galley presents a unique set of challenges (lack of space mainly) which, together with the tropical weather conditions and remote location, will make your average weekly grocery shop approach ineffective. Careful provisioning is an important part of preparing for your holiday and running out of food or forgetting the basics can spoil the most idyllic time away. Whitsunday Provisioning will take away the stress and provide you with the freshest produce and top quality meats and a delivery service 7 days a week. All of this is delivered in insulated boxes, designed to keep your stores cool and fresh while waiting to be stored away on board your vessel for your arrival. 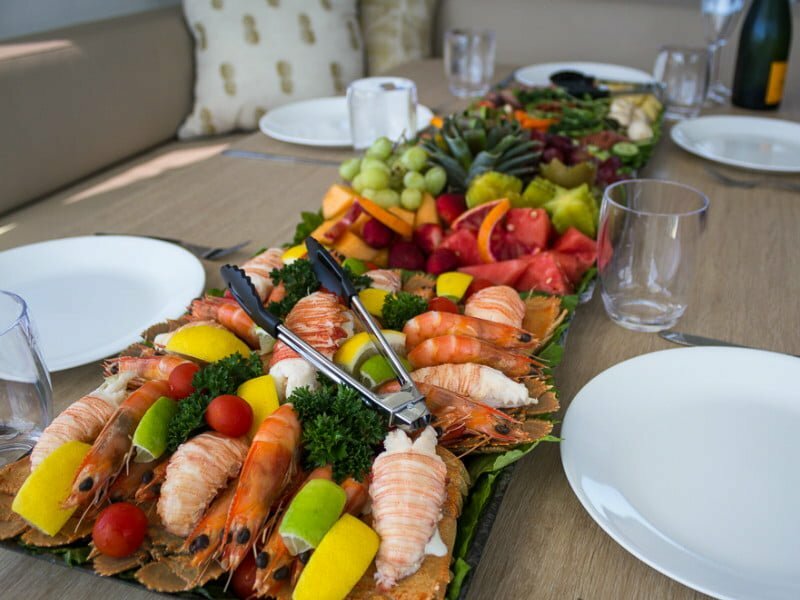 A seamless provisioning service with Queensland Yacht Charters. Menu options designed to maximise enjoyment and minimise wastage. An online ordering system that makes choosing and organising your stores easy and affordable. Packaging and standard practices that ensure your stores are kept cool and fresh while waiting to be unpacked. 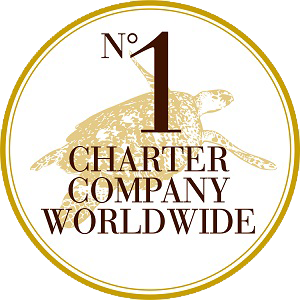 A mid-charter turnaround option if your charter is longer than 8 days. That is, together we deliver the second half of your order part way through your holiday, to ensure your supplies are fresh for full duration of your trip! Whitsunday Provisioning offer packages that cater for all tastes, dietary requirements and budgets. These very popular packages have been designed to take the stress out of provisioning for your charter. They are available in three different price ranges (including the particularly great value ‘Silver Package’ for the budget conscious, starting from as little as $28.00 per person per day) and include absolutely everything you will need apart from your beverages (which can be ordered separately through Whitsunday Provisioning). They do include your fruit juices, morning and afternoon teas, biscuits, cakes, evening chocolates and nibbles. Even the kids are catered for with their ‘Kids Pack’. Prices depend on how many passengers are on board and whether you prefer a full or partial option. Should you wish to eat at some island resorts during your holiday, then perhaps a partial package should be considered where every third main meal is not catered for. CLICK HERE for more information, to view their packages or to order online. Beverages can also be ordered through Whitsunday Provisioning (as part of food order), using their self-select beverage list on line. Alternatively, you can purchases beverages from the bottle shop at Whitsunday Shopping Centre and in Airlie Beach. Provisioning for your Charter is easy. We have 3 Supermarkets in Airlie Beach to choose from – all within a ten minute taxi ride from the Marina. We generally recommend that you plan your supermarket shopping per meal – How many breakfasts, lunches and dinners? Then include snacks, for kids and nibbles for drinks. Consider dietary requirements and preferences and shop accordingly. We also recommend that you purchase some drinking water approx. 2 litres per person per day. Hamilton Island has a small supermarket and shops and cafes and restaurants if you need to top up your provisions or you need a latte or a Pizza or a day on land. Book in to the Marina for the day. If you have any questions at all about shopping or planning your meals our staff are happy to help you.